In 1906, a German immigrant named Leo Samuel founded the company that would become The Standard, keeping the needs of his community – Portland, Oregon – foremost in mind. As for Portland, where the home offices are still located, the company is the largest non-government employer downtown. 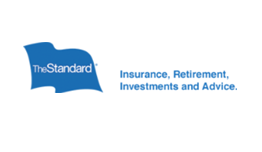 The Standard is also one of the top corporate donors to local nonprofits serving those in need and organizations working in the arts and education. For more than 100 years, StanCorp Financial Group, Inc., through its subsidiaries marketed as The Standard – Standard Insurance Company, The Standard Life Insurance Company of New York, Standard Retirement Services, StanCorp Mortgage Investors, StanCorp Investment Advisers, StanCorp Equities, StanCorp Real Estate, and StanCorp Trust Company – has helped people achieve financial security so they can confidently pursue their dreams. StanCorp’s subsidiaries serve approximately 7.6 million customers nationwide as of December 31, 2010, with group and individual disability insurance, group life, AD&D and dental insurance, retirement plans products and services, individual annuities and investment advice.